In nearly every country on the planet there’s a huge number of people who want to learn English. It’s the international language of business and commerce and speaking it improves people’s prospects. Here’s just one example. In nearly every city and town where English-speaking tourists go, there’s a line of local merchants eager to learn how to communicate with them. Why? Because it boosts their bottom line. Also, in most countries, professionals like doctors, lawyers and businessmen need English if they want to work overseas. This means people who can teach them are at a premium. Because demand is so high all over the world, you can choose your destination country at will. Don’t enjoy working in Ecuador? Try Thailand. Or Korea. Or Spain. Your options are endless. Being an English teacher has a lot of perks but chief among them is the amount of vacation time you’ll get. In many countries, teachers enjoy over three months’ vacation time a year—paid. In addition to lengthy summer vacations, there’s often a week or two here and there around holidays like Christmas and Easter. And that doesn’t include the long weekends for religious and national holidays. Plus, you get to put this vacation time to good use. 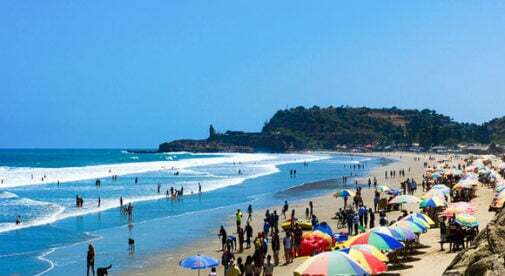 Imagine spending your spring vacation on a beach in Bali, traveling across China in summer and coming home for a couple of weeks come Christmas. Your passport could be getting quite a workout. English teachers are generally contracted for about 25 hours a week and almost always have weekends off. Working at a language institute can mean only a few hours of work a day. If you are a morning person, you could work from 8 a.m. to noon and have the rest of the day to relax or explore your new city. But if nights are when you really get going, you can teach business professionals from 5 p.m. to 9 p.m. after they get off work. But, for you…the entire day is yours. In some countries, the cost of living is so low and the pay for English teachers is so high that you can save thousands of dollars a year. In places like China, Korea and the Middle East, English teachers are paid as much as $60,000 per year. Sometimes, that even includes housing, medical insurance and paid airfare. Even in Latin American countries, where wages appear to be somewhat meager, once the low cost of living is factored in, an English teacher can live very comfortably…and even put some money in the bank every month. In short, you don’t need teaching experience to become an English teacher. There are so many positions out there that finding work is easy. You don’t have to speak the language of your students, either—all your lessons will involve teaching English, through English. And you don’t have to have some ultra-advanced level of English or a five-star education. Institutions want you to teach their students because you know how words should be pronounced. So put English teacher at the top of your list of ways to earn and income overseas. Even if you don’t need the money, teaching English is a great way to integrate into your new culture, meet the locals and see the world.